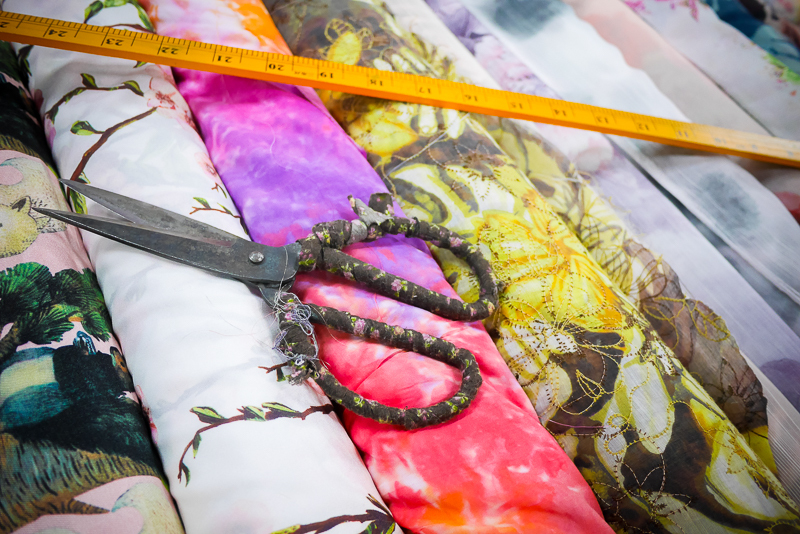 Hi Frocktober Friends... as you know I'm making a dress for every day in October, and because a month just doens't mean a normal month anymore, I'm calling it Frocktober and instead of *wearing* a dress every day, I'm sewing the hell outta my stash fabric. Also, the REAL Frocktober is for Ovarian Cancer Research, so if you're doing the real Frocktober and you follow my blog, I'll sponsor you. AND if I sell a dress I'll donate some dosh from that sale to the OCR Foundation too. I was doing a tally somewhere, but might wait until the end of October to add it all up and then donate all at once. Cause I'm too busy sewing darlings! The back has a simple (thrifted) zip and once again, it's made from thrifted threads AND handmade bias binding. It seemed to work better on the thicker material, so perhaps that's a tip for us all?! Don't let your stash material get near the sun! There's a faint faded line in the above photo, and it's from the freaking fold when it was on my shelf. I've heard of this happening before, and folding and refolding your stash fabric helps, but I guess thicker curtains and no direct sunlight is also best. Anyways, I made this one as a prototype for my zexxy friend as I was going to make a black one for her if it fits... Discount for you if you like it, the faded fabric will probably all match up eventually. Yay! So I AM a bit behind on the old Frocktober, but I've just started another one now. Thanks for all your kind messages as well, you guys are darlings and I love your thoughts on the dresses so far! The most common comment is 'I don't know how you find the time' when I talk about it with friends, and I have no idea either. You just can't mess around on the internet or go out much. I'm saving my pennies and not drinking at the moment either, so that helps. wowzers that looks like a cool dress... if only it was warmer here....grrr... happy Frocktober!